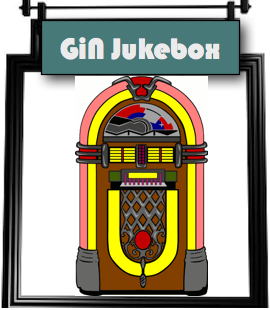 I am continuing to add to this post but am starting with the videos and graphics referenced. First I will fill in what we meant to show and then I will talk about some of the things that came up as we “flew by the seat of our pants”. Rick Santelli’s statements resounded not only with the workers behind him. They resounded across country, but most especially online, and particularly on Twitter. Members of an online group began discussion on Twitter about attempting to hold Tea Parties in as many cities as possible. “Let’s roll!” was the theme of the tweets the evening of the 19th. Meanwhile American Specator’s managing editor J.P. Fererir had decided to hold a Tea Party in Washington, D.C. at NOON the following Friday because of the annual the CPAC convention. Ultimately, this all resulted in a conference call of a dozen members of the Twitter group. They determined to work towards at least ten Tea Parties nationwide to run simultaneously with Ferarie’s event. The participants in the call either all agreed to organize a tea party in their own city or they agreed to help coordinate overall, or both. A conference call was held each day, with a growing number of participants who were organizing a party. The number of cities exceeded ten by Sunday afternoon. By Monday, there were over two dozen people on the conference call, on Wednesday, over thirty. On Friday, February 27th, there were tea parties in over 45 cities, some having been organized independently of the conference call based group. Various attendance estimates have come in as low as 15,000 and as high as 30,000. Almost all of the events occurred simultaneously at 11AM central. The phenomenon received little national press coverage, but there was much attention by local media where organizers worked at it. MSNBC and Fox News channel did spend some time on the events that day, particularly Neal Cavuto. But what was it that inspired the whole thing in the first place, what was Rick Santelli talking about? For those still sleeping, so to speak, the TARP / aka Bailout bill last fall served as the “come to Jesus moment”. Even more realized during the debate about the “Stimulus” Bill. Didn’t get the handouts from the Tea Party or want to print out more? If you are going to be attending a meeting or an event here in Nebraska and would like handout these items at your gathering, please contact me as I will carry a supply of these printouts for anyone’s use. They are not dated and simply reference “today’s event” not a Tea Party specifically. No Wonder the Democratic Party's Symbol is an….A#$! What a shocker….many Democrats are RUDE! Is anyone else completely fed up with many members of that so oft self-described “tolerant” party besides myself? While many conservatives are cowering in the corner, afraid to open their mouths for fear of being called “racist”, “sexist”, “homophobic”, “religious freak”, “stupid”, “crazy”, “bitter”, an on and on and on…..The blue party of the donkey, a.k.a the a$$, seems to have a disproportionate number of neanderthals in its ranks. Why don’t their fellow members call them out? I personally observed some very classy behavior from a group of Obama-Biden protesters just this Sunday, October 5, in Omaha, Nebraska. This lovely bunch took out time from their Sunday afternoon and evening to stand across the street from the ever-growing line of Palin supporters to what end, one can only guess. Many of the signs were childishly insulting. Wonder if Madeleine Albright meant these kind of women? Those of us out here in fly-over country aren’t accustomed to protesters (except occasionally near the University of Nebraska at Lincoln campus). Besides a number of insulting signs, which were, interestingly enough, largely wielded by women, this nice group of folks took the opportunity to periodically shout nonsense across the street. 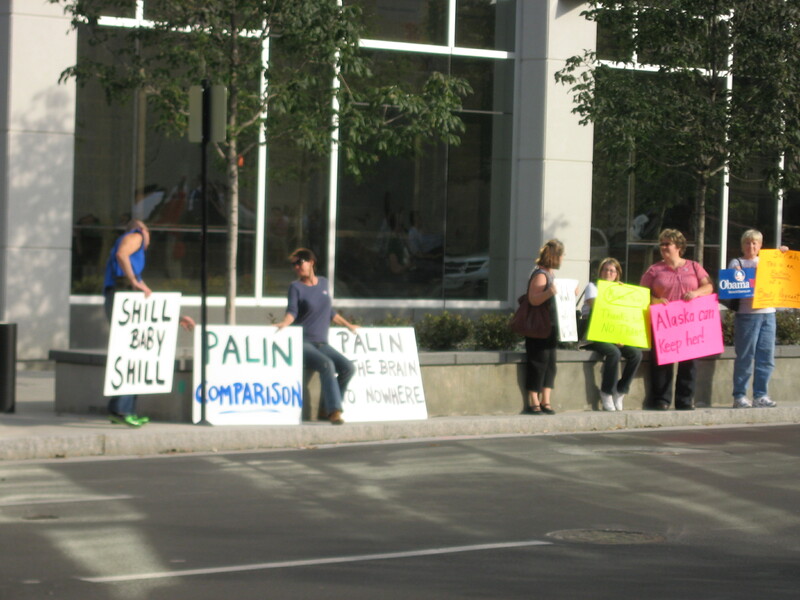 While we Palin supporters were waiting in line, some of us chatted about the silliness of it all. To the woman in front of me, I queried, “Why aren’t there ever any Republican protesters?” While it was essentially a moot question, she replied that we have better sense, and better things to do with our time, apparently. In addition to witnessing this group of classless rabble personally, there are some recent examples of similar rabble-like behavior by Democrat public figures and their entourages. Last night, after the Presidential Debate in Nashville, Senator Claire McCaskill exemplified a high-degree of class when she handed Gov. Mitt Romney the earpiece she had just finished using when interviewed on MSNBC, as he was up next. “I spit on this before I put it in,” she said to Romney, with a sweet smile. Politico’s Ben Smith witnessed the exchange. You can read the full blurb here. You will note that McCaskill’s spokesperson later tried to explain away McCaskill’s remark, but apparently Mr. Smith was predisposed to believe McCaskill has a habit of behaving this way. How ladylike she seems to be. What is definitely more interesting is a post by CBS reporter Dean Reynolds on his “Reporter’s Notebook” on October 7. After having traveled with the Obama campaign for over twelve months, he is now traveling with the McCain campaign. The comparison he draws between the two operations is not flattering to Obama and Company. I find it interesting that Mr. Reynolds didn’t comment about the incident on June 7 wherein press members were packed onto the campaign plane, left to sit on the run way, and then flown to Chicago, only to be told mid-air that Barack Obama was not on the plane. They had been misled into believing otherwise earlier. The linked New York Times article doesn’t quite convey the level of anger many in the press felt at the time. The deliberate subterfuge was intended to provide cover for a secret meeting with Sen. Hillary Clinton, Obama’s close rival in the Democratic primaries. While neither a reporter nor a Democrat, I found the entire June 7 incident distasteful simply because it made me wonder how much subterfuge a President Obama might engage in to hide events? Besides finding oafish behavior, well, just plain, oafish, I also find it sad and frustrating. We’re constantly being lectured to by pundits and even some politicians about “bi-partisanship”. We’re told that we have to find “common ground” and “make compromises”. I don’t know about anyone else, but I have not intention of finding common ground nor making compromises with people who don’t know how to behave civilly. Conservatives had better learn quickly that there is no point in cowering in the corner. They will be called every name in the book, shouted at, and degraded simply for being….well, conservative.